As modern data center environments are becoming increasingly distributed and complex, it’s more and more difficult for today’s data center managers to keep track of their assets. While devices previously may have been limited to one or two enterprise-owned, traditional data centers, data centers now are spread across several different types of environments. For example, an organization might maintain their own data center while also operating in a colocation facility and private/public cloud, or a hybrid combination of all three. As a result, modern data center managers often struggle to accurately manage their data center assets and to plan capacity in ways that make the most of their existing resources. 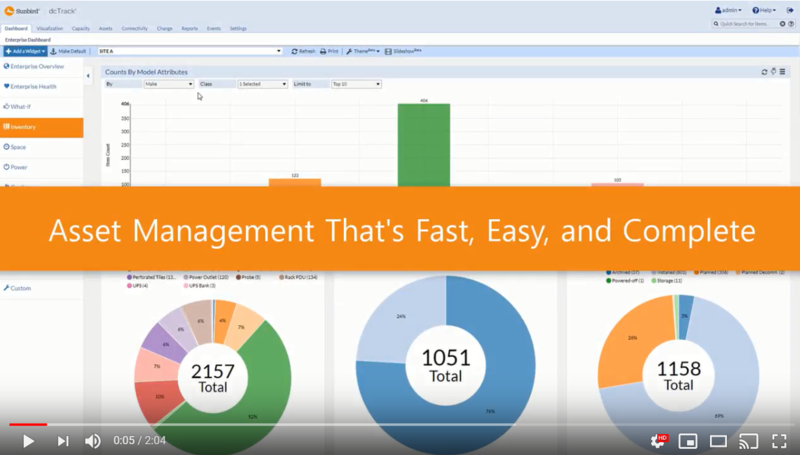 At the same time, today’s data center managers and teams do not have the time to continue to manage their assets using legacy tools like Visio and Excel. They need second-generation data center solutions that address the challenges of modern data center asset management. Try It! Now that you’ve seen for yourself how easy it is to manage your data center assets with dcTrack, take a test drive to try them out for yourself.